Turgut Reis (1485 - June 23, 1565) was a Ottoman admiral as well as Bey of Algiers; Beylerbey of the Mediterranean; and first Bey later Pasha of Tripoli. Known in different languages under such names as Dragut or Darghouth, the original name in Turkey is Turgut Reis (reis = captain) or less commonly Torgut Reis as his name appears in several old Turkish and foreign resources. After experience with cannon in the Ottoman army, taking part in the 1517 conquest of Egypt he joined the Ottoman navy. Following several successful campaigns, he became master of his own ship. In 1539, he was appointed governor of Djerba. By 1546 he was Chief Admiral of the navy, to which the Sultan later added several other governorships before naming him Chief Regional Governor. He masterminded a series of victories against various European powers, adding territory to the Ottoman empire. Turgut's reputation for military skill won admiration even from his enemies. Although he is popularly depicted as a pirate in European literature, Europeans engaged in identical behavior. Broadly speaking, he lived out his life in the context of what many regarded as permanent hostility between the European and Ottoman spaces. Many battles took place in the Mediterranean, the naval frontier between the two competing for zones, which he occupied. Yet from time to time, people on one side recognized the humanity of those on the other side. In remembering the epochal battles and hostile confrontation that certainly did take place, the fact that relations on the ground in the zone of conflict were often more complex and sometimes even harmonious must not be forgotten. In an increasingly inter-dependent world, perpetuating what has been described as "amnesia" about moments of harmony does little to create the conditions for mutual cooperation, respect and co-existence. Turgut's began life as a Christian. Turgut was born near Bodrum, on the Aegean coast of Turkey, as the son of a Turkish farmer named Veli. According to O'Shea, he was born into a Christian family. At the age of 12 he was noticed by an Ottoman army commander for his extraordinary talent in using spears and arrows and was recruited by him as an apprentice, with the consent of his parents, to be trained as a cannoneer and master of siege artillery, which would play an important role in Turgut's future success and reputation as a superb naval tactician. His entry into the army was possibly the result of "the boy tribute. "Turgut accompanied his master in the Ottoman conquest of Egypt in 1517 and participated in the fighting as a cannoneer. He further improved his skills in this field during his presence in Cairo. Following the death of his master, Turgut went to Alexandria and began his career as a sailor after joining the fleet of Sinan Reis. He immediately became one of the favorite crewmen of the famous corsair due to his success in hitting enemy vessels with cannons. Turgut soon mastered the skills of seamanship and became the captain of a brigantine, while given 1/4 of its ownership. After several successful campaigns, he became the sole owner of the brigantine. Turgut later became the captain and owner of a galliot, and arming it with the most advanced cannons of that period, he started to operate in the Eastern Mediterranean, especially targeting the shipping routes between Venice and the Aegean islands belonging to the Repubblica Serenissima. In 1520 he joined the fleet of Hayreddin Barbarossa, who would become his protector and best friend. Turgut was soon promoted to the rank of chief lieutenant by Barbarossa and was given the command of 12 galliots. In 1526 Turgut Reis captured the fortress of Capo Passero in Sicily. Between 1526 and 1533 he landed several times at the ports of the Kingdom of Sicily and the Kingdom of Naples, while intercepting the ships which sailed between Spain and Italy, capturing many of them. In May 1533, commanding four fustas and 18 barques, Turgut Reis captured two Venetian galleys near the island of Aegina. In June and July 1538 he accompanied Barbarossa on his pursuit of Andrea Doria in the Adriatic Sea, while capturing several fortresses on the coasts of Albania as well as the Gulf of Preveza and the island of Lefkada. In August 1538 Turgut Reis captured Candia in Crete as well as several other Venetian possessions in the Aegean Sea. In September 1538, with 20 galleys and 10 galliots, Turgut Reis commanded the center-rear wing of the Ottoman fleet that defeated the Holy League under the command of Andrea Doria at the Battle of Preveza. During the battle, with two of his galliots, he captured the Papal galley under the command of Giambattista Dovizi, the knight who was also the abbot of Bibbiena, taking him and his crew as prisoners. After this battle, Barbarossa said of Turgut, "Dragura is a lion, he is a braver man than me." In 1539, commanding 36 galleys and galliots, Turgut Reis recaptured Castelnuovo from the Venetians, who had taken the city back from the Ottomans. During the combat he sank two Venetian galleys and captured three others. Still in 1539, while landing on Corfu, he encountered 12 Venetian galleys under the command of Francesco Pasqualigo and captured the galley of Antonio da Canal. He later landed at Crete and fought against the Venetian cavalry forces under the command of Antonio Calbo. Later that year, when Sinan Reis, the Governor of Djerba, was appointed by Suleiman the Magnificent as the new Commander-in-Chief of the Ottoman Red Sea Fleet based in Suez, Turgut Reis was appointed as his successor and became the Governor of Djerba. 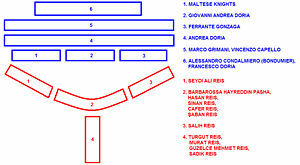 In early 1540 Turgut Reis captured several Genoese ships off the coast of Santa Margherita Ligure. In April 1540, commanding two galleys and 13 galliots, he landed at Gozo and sacked the island. He later landed at Pantelleria and raided the coasts of Sicily and Spain with a force of 25 ships, inflicting so much damage that Andrea Doria was ordered by Charles V to chase him with a force of 81 galleys. From there, Turgut Reis sailed to the Tyrrhenian Sea and bombarded the southern ports of Corsica, most notably Palasca. He later captured and sacked the nearby island of Capraia. Turgut Reis later sailed back towards Corsica and docked his ships at Girolata on the western shores of the island. Taken by surprise while repairing his ships, Turgut Reis and his men were attacked by the combined forces of Giannettino Doria (Andrea Doria's nephew), Giorgio Doria and Gentile Virginio Orsini. Turgut Reis was captured and was forced to work as a galley slave in the ship of Giannettino Doria for nearly four years before being imprisoned in Genoa. Barbarossa offered to pay ransom for his release but it was rejected. In 1544, when Barbarossa was returning from France with 210 ships sent by Sultan Suleiman to assist his ally Francois I against Spain, he appeared before Genoa, laying siege to the city and forcing the Genoese to negotiate for the release of Turgut Reis. Barbarossa was invited by Andrea Doria to discuss the issue in his palace at Fassolo, and the two admirals reached an agreement for the release of Turgut Reis in exchange of 3500 gold ducats. Barbarossa gave Turgut his spare flagship and the command of several other vessels, and in that same year Turgut Reis landed at Bonifacio in Corsica and captured the city, inflicting particular damage to Genoese interests. Still in 1544 he assaulted the island of Gozo and fought against the forces of knight Giovanni Ximenes while capturing several Maltese ships which were bringing precious cargo from Sicily. In June 1545 he raided the coasts of Sicily and bombarded several ports on the Tyrrhenian Sea. In July he ravaged the island of Capraia and landed at the coasts of Liguria and the Italian Riviera with a force of 15 galleys and fustas. He sacked Monterosso and Corniglia, and later landed at Menarola and Riomaggiore. In the following days he landed at the Gulf of La Spezia and captured Rapallo, Pegli and Levanto. In 1546 he captured Mahdia, Sfax, Sousse and Al Munastir in Tunisia, afterwards using Mahdia as a base to assault the Knights of St. John in Malta. In April 1546 he raided the coasts of Liguria. In May, still in Liguria, he captured Laigueglia, a province of Savona, with a force of 1000 men. He later captured Andora and took the podestà of the town as a prisoner. There he and his troops rested for a brief period, before resuming their assault on the Italian Riviera and landing at San Lorenzo al Mare. He also destroyed the village of Civezza. From there he once again sailed towards Malta and laid siege to the island of Gozo. In June 1546 Andrea Doria was appointed by Emperor Charles V to force Turgut Reis away from Malta, and Doria based his forces at the island of Favignana. The two admirals, however, did not meet up, as Turgut Reis had sailed to Toulon in August 1546, staying there for several months and letting his men have some rest in the security of a French port. 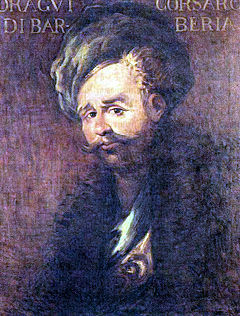 After Barbarossa's death in July 1546, Turgut succeeded him as supreme commander of Ottoman naval forces in the Mediterranean. In July 1547 he once again assaulted Malta with a force of 23 galleys and galliots, after hearing the news that the Kingdom of Naples was shaken by the revolt against Viceroy Don Pietro of Toledo, which would make a naval support from there to Malta rather unlikely. Turgut Reis landed his troops at Marsa Scirocco, the extreme southern point of the island which faces the shores of Africa. From there the Ottoman troops quickly marched towards the vicinity of the Church of Santa Caterina. The guards of the church tower escaped as soon as they saw the forces of Turgut Reis, which prevented them from igniting the tub of gunpowder—a common method used then to warn the local inhabitants of attacks. After sacking the island, Turgut Reis headed towards Capo Passero in Sicily, where he captured the galley of Giulio Cicala, son of Duke Vincenzo Cicala. He later sailed to the Aeolian Islands, and at Salina Island he captured a Maltese trade ship with valuable cargo. From there he sailed to Apulia and towards the end of July 1547 he assaulted the city of Salve. He later sailed to Calabria, forcing the local population to flee towards the safety of the mountains. From there he went to Corsica and captured a number of ships. In 1548 he was appointed Beylerbey (Chief Governor) of Algiers by Suleiman the Magnificent. In that same year he ordered the construction of a quadrireme galley at the naval arsenal of Djerba, which he started using in 1549. In August 1548 he landed at Castellamare di Stabia on the Bay of Naples and captured the city along with nearby Pozzuoli. From there he went to Procida. A few days later, he captured a Spanish galley loaded with troops and gold at Capo Miseno near Procida. In the same days he captured the Maltese galley, La Caterinetta, at the Gulf of Naples, with its cargo of 70,000 gold ducats which were collected by the Knights of St. John from the churches of France with the aim of strengthening the defenses of Tripoli, which was then under Maltese control. In May 1549 he set sail towards Liguria with 21 galleys and in July he assaulted Rapallo, later replenishing his ships with water and other supplies at San Fruttuoso. From there he sailed to Portofino and landed at the port, before appearing at San Remo where he captured an Aragonese galley from Barcelona which was heading towards Naples. From there he first sailed towards Corsica and later towards Calabria where he assaulted the city of Palmi. In February 1550, sailing with a force of 36 galleys, he recaptured Mahdia along with Al Munastir, Sousse and most of Tunisia. In May 1550 he assaulted the ports of Sardinia and Spain and landed on their coasts with a force of six galleys and 14 galliots. Still in May he unsuccessfully tried to capture Bonifacio in Corsica. On his way back to Tunisia, he stopped at Gozo to replenish his ships with water and to gather information on the activities of the Maltese Knights. He later sailed towards Liguria. In June 1550, while Turgut Reis was sailing near Genoa, Andrea Doria and Bailiff Claude de la Sengle of the Maltese Knights attacked Mahdia in Tunisia. In the meantime, Turgut Reis was busy assaulting and sacking Rapallo for a third time, before raiding the coasts of Spain. He then sailed to the Tyrrhenian Sea and towards the beginning of July landed at the western shores of Sardinia, before returning to Djerba, where he learned that Doria and Claude de la Sengle had been attacking Mahdia and Tunis. He collected a force of 4500 troops and 60 sipahis and marched on Mahdia to assist the local resistance. He did not succeed and returned to Djerba with his troops. In September 1550 Mahdia surrendered to the joint Spanish-Sicilian-Maltese force. In the meantime, Turgut Reis was repairing his ships at the beach of Djerba. On October, Andrea Doria appeared with his fleet at Djerba and blocked the entrance of the island's lagoon with his ships, trapping the beached galleys of Turgut Reis inside the Channel of Cantera. Turgut Reis had all his ships dragged overland through hastily dug canals and on a heavily greased boardway to the other side of the island and sailed to Istanbul, capturing two galleys on the way, one Genoese and one Sicilian, which were en route to Djerba in order to assist the forces of Doria. Prince Abu Beker, son of the Sultan of Tunis, who was an ally of Spain, was on the Genoese galley. After arriving in Istanbul, Turgut Reis, authorized by Sultan Suleiman, mobilized a fleet of 112 galleys and two galleasses with 12,000 Janissaries, and in 1551 set sail with the Ottoman admiral Sinan Pasha towards the Adriatic Sea and bombarded the Venetian ports, inflicting serious damage on Venetian shipping. In May 1551 they landed on Sicily and bombarded the eastern shores of the island, most notably the city of Augusta, as revenge for the Viceroy of Sicily's role in the invasion and destruction of Mahdia, where most inhabitants had been massacred by the joint Spanish-Sicilian-Maltese force. They then attempted to capture Malta, landing with about 10,000 men at the southern port of Marsa Muscietto. They laid siege to the citadels of Birgu and Senglea, and later went north and assaulted Mdina, but lifted the siege after realizing that it was impossible to capture the island with the number of troops in hand. Instead, they moved to the neighboring island of Gozo, where they bombarded the citadel for several days. The Knights' governor there, Galatian de Sesse, realizing that resistance was futile, surrendered the citadel, and the corsairs sacked the town. Taking virtually the entire population of Gozo (approximately 5000 people) into captivity, Turgut and Sinan set sail from the port of Mġarr ix-Xini in Gozo and headed towards Libya, where they shipped the captives to Tarhuna Wa Msalata. They later sailed towards Tripoli with the aim of conquering the strategic port city and its environs. In August 1551 Turgut Reis attacked and captured Tripoli (Libya), which had been a possession of the Knights of St. John since 1530. Gaspare de Villers, the commander of the fort, was captured, along with other prominent knights of Spanish and French origin. However, upon the intervention of the French ambassador in Istanbul, Gabriel d'Aramont, the French knights were released. A local leader, Ağa Murat, was initially installed as governor of Tripoli, but subsequently Turgut himself took control of the area. In recognition of his services, Sultan Suleiman awarded Tripoli and the surrounding territory to Turgut, along with the title of Sanjak Bey (Province Governor). 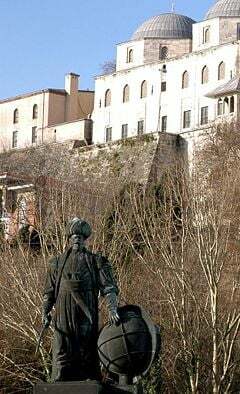 In September 1551, Turgut Reis sailed to Liguria and captured the city of Taggia, before capturing other ports of the Italian Riviera, after Ottoman troops landed at the beach of Riva Brigoso. Later that year, he returned to Tripoli and sought to extend his territory, capturing the entire region of Misratah all the way to Zuwarah and Djerba to the west. Turning inland, he enhanced his territory until reaching Gebel. In 1552 Sultan Suleiman appointed Turgut Reis commander-in-chief of the Ottoman fleet which he dispatched to Italy (on the basis of a treaty between the Sultan and King Henry II of France). Turgut Reis first landed at Augusta and Licata in Sicily, before capturing the island and castle of Pantelleria. In July 1552 he landed at Taormina and later bombarded and disabled the ports on the Gulf of Policastro. He later landed at Palmi and captured the city, before sailing to the Gulf of Naples in order to meet with the other branch of the Ottoman fleet under the command of Sinan Pasha and the French fleet under the command of Polin de la Garde. After arriving at the meeting location, Turgut Reis anchored his ships off the beach of Scauri, near Formia, where he met with the fleet of Sinan Pasha, but their French ally did not show up in time. After waiting for several days, Sinan Pasha decided to return to Istanbul, following an order by Suleiman to do so in case of a delay or postponement of the meeting. Turgut Reis convinced Sinan Pasha to join him, and their combined fleet bombarded various ports of Sardinia and Corsica, before capturing the island of Ponza. From there the Turkish fleet sailed towards Lazio and bombarded the ports belonging to the Papal States and the Kingdom of Naples, even though Henry II had guaranteed the Pope that the Ottoman fleet would not damage the Vatican's possessions. Due to bad weather, however, Turgut Reis and Sinan Pasha sailed back to the Gulf of Naples and landed at Massa Lubrense and Sorrento, capturing both towns. They later captured Pozzuoli and the entire coastline up to Minturno and Nola. In response, Andrea Doria set sail from Genoa with a force of 40 galleys and headed towards Naples. When the two fleets first encountered off Naples, Turgut Reis managed to capture seven galleys, with colonel Madruzzi and many German soldiers of the Holy Roman Empire on board. The two fleets later went southwards, where, on August 5, 1552, Turgut Reis defeated the Spanish-Italian fleet under Andrea Doria at the Battle of Ponza. Following this victory, Suleiman appointed Turgut Beylerbey (Chief Regional Governor) of the Mediterranean Sea. In May 1553 Turgut Reis set sail from the Aegean Sea with 60 galleys, captured Crotone and Castello in Calabria, and from there marched inland. Later he landed on Sicily and sacked most of the island until stopping at Licata for replenishing his ships with water. Afterwards he assaulted Sciacca and Modica in southern Sicily. From there he went to the island of Tavolara and to Sardinia, later headed towards Porto Ercole and landed on the coast, before setting sail towards Elba, where he captured Marciana Marina, Rio and Capoliveri. From there he sailed to Corsica and took Bonifacio, Bastia and Calvi on behalf of France, then ally of the Ottoman Empire, which paid him 30,000 gold ducats for the expense of ammunition in the conquest. Leaving Corsica, Turgut Reis returned to Elba and attempted to capture Piombino and Portoferraio, but eventually gave up and captured the island of Pianosa and recaptured the island and castle of Capri (previously captured by Barbarossa back in 1535) before returning to Istanbul. In 1554 he sailed from the Bosphorus with 60 galleys and passed the winter in Chios. From there he sailed to the Adriatic Sea and landed at Vieste near Foggia, capturing and sacking the city. He then sailed towards Dalmatia and bombarded the port of Ragusa (Dubrovnik), capital of the maritime Republic of Ragusa. In August 1554 he landed at Orbetello and raided the coasts of Tuscany. The following year, in July 1555, he landed at Capo Vaticano in Calabria, and from there marched to Ceramica and San Lucido, bombarding these cities, before capturing Paola and Santo Noceto. He then sailed to Elba and captured the city of Populonia before assaulting Piombino. From there he sailed to Corsica and ransacked Bastia, taking 6000 prisoners. He later assaulted Calvi before setting sail towards Sardinia and bombarding the ports of that island. From there he turned towards Liguria and landed at Ospedaletti, capturing the city and the coastline around it. He later landed at San Remo before returning to Istanbul. In March 1556 Turgut Reis was promoted to the rank of Pasha of Tripoli. There, he strengthened the walls of the citadel surrounding the city and built a gunpowder bastion (Dar el Barud). He also strengthened the defenses of the port and built the Turgut (Dragut) Fortress in place of the old Fortress of San Pietro. In July 1556 he again set sail and landed at Cape Santa Maria at the island of Lampedusa, where he captured a Venetian ship which transported ammunition and weapons for the defense of Malta. He later landed in Liguria and captured Bergeggi and San Lorenzo. In December 1556 he captured Gafsa in Tunisia and added it to his territory. In the summer of 1557 he left the Bosphorus with a fleet of 60 galleys and, arriving at the Gulf of Taranto, he landed in Calabria and assaulted Cariati, capturing the city. He later landed at the ports of Apulia. In 1558 he added Gharyan, about 70 miles south of Tripoli, to his territory. He then defeated the Beni Oulid dynasty with a force of janissaries and added their territories to the Ottoman Empire. He later took Taorga, Misratah and Tagiora, before recapturing the island of Djerba and adding it to his province. In June 1558 he joined the fleet of Piyale Pasha at the Strait of Messina, and the two admirals captured Reggio Calabria, sacking the city. From there, Turgut Reis went to the Aeolian Islands and captured several of them, before landing at Amalfi, in the Gulf of Salerno, and capturing Massa Lubrense, Cantone and Sorrento. He later landed at Torre del Greco, the coasts of Tuscany, and Piombino. In August he captured several ships off Malta. In September 1558 he joined Piyale Pasha, and the two admirals assaulted the coasts of Spain before capturing Ciutadella (Minorca) and inflicting particular damage on the island's ports. In 1559 he repelled a Spanish attack on Algiers and put down a revolt in Tripoli. In that same year he captured a Maltese ship near Messina. Learning from its crew that the knights were preparing for a major attack on Tripoli, he decided to sail back there and strengthen the city's defenses. In the meantime, he had made enemies of many of the nominally Ottoman, but practically independent rulers in Tunis and the adjoining hinterland, and several of them concluded an alliance in 1560 with Viceroy Cerda of Sicily, who had orders from King Philip II of Spain to join his forces in an effort to capture Tripoli. This campaign ended in failure when the Ottoman fleet under the command of Piyale Pasha and Turgut Reis defeated the fleet of the Holy League of Philip II in the Battle of Djerba. In March 1561 Turgut Reis and Uluç Ali Reis captured Vincenzo Cicala and Luigi Osorio near the island of Marettimo. In June 1561 Turgut landed on the island of Stromboli. In July 1561 he captured seven Maltese galleys under the command of knight Guimarens, whom he later freed for a ransom of 3,000 gold ducats. After stopping at Gozo to replenish his galleys with water, he sailed back to Tripoli. In August 1561 he laid siege to the city of Naples and blocked the port with 35 galleys. In April 1562 he sent scout ships to explore all corners of the island of Malta. Still in 1562 he laid siege to Oran which was under Spanish control. In 1563 he landed at the shores of the province of Granada and captured coastal settlements in the area like Almuñécar, along with 4000 prisoners. He later landed at Málaga. In April 1563 he supported the fleet of Salih Reis with 20 galleys during the Ottoman siege of Oran, bombarding the Fortress of Mers-el-Kebir. In September 1563 he sailed to Naples and captured six ships near the island of Capri, which carried valuable goods and Spanish soldiers. He later landed at the Chiaia neighborhood of Naples and captured it. From there he sailed to Liguria and Sardinia, raiding the coastal towns, particularly Oristano, Marcellino and Ercolento. He then sailed to the Adriatic Sea and landed on the coasts of Apulia and Abruzzo. He later landed twice at San Giovanni near Messina with a force of 28 galleys. In October 1563 he sailed towards Capo Passero in Sicily and later landed once more on Gozo, where he briefly fought against the knights. When Sultan Suleiman ordered the Siege of Malta in 1565, Turgut Reis joined Piyale Pasha and the Ottoman forces with 1600 men (3000 according to some sources) and 15 ships (13 galleys and two galliots; while some sources mention 17 ships) on 31 May 1565. He landed his troops at the entrance of Marsa Muscietto, a cape which is now named 'Dragut Point' after Turgut Reis. There he met with Lala Mustafa, commander of the Ottoman land forces, who was besieging Fort St. Elmo. He advised him to first capture the citadel of Gozo and Mdina (the old capital city of Malta) as soon as possible, but this advice was not taken. He also arranged for more cannon fire to be concentrated on the recently-built Fort St. Elmo which controlled the entrance of the Grand Harbor and seemed weaker than the other forts; joining the bombardment with 30 of his own cannons. In only 24 hours the Ottomans fired 6000 cannon shots. Realizing that Fort St. Elmo and Fort St Angelo (the main headquarters of the Knights on the other side of the Grand Harbor) could still communicate with each other, Turgut Reis ordered a complete siege of Fort St. Elmo with the aim of isolating it from Fort St. Angelo. On June 17, 1565, during the bombardment of the fort, a cannon shot from Fort St. Angelo across the Grand Harbor struck the ground close to the Turkish battery. Debris from the impact mortally injured Turgut Reis, who lived until June 23, 1565, just long enough to hear the news of the capture of Fort St. Elmo. Turgut's advice to capture Mdina and Gozo was never taken, to the detriment of the Ottomans. Maltese forces, from Mdina in particular, harried the Turkish troops for the remainder of the siege, and at one point prevented the key city of Senglea from falling into Ottoman hands. His body was taken to Tripoli by Uluç Ali Reis and buried there. Several warships of the Turkish Navy and passenger ships have been named after Turgut Reis. Turgut Reis continues to enjoy great fame and respect in Turkey, where the city of his birth is named Turgutreis. In several coastal towns of Liguria in Italy, Turgut Reis is remembered with the annual Dragut Festival. In addition to his bravery and acknowledged seamanship, Turgut is "emblematic of his age" says O'Shea. "His Christian antecedents … underscore the most arresting feature of this era of Mediterranean piracy: many of the best Muslim buccaneers were, in fact, Christians." Some were raised as Muslims, which is the case with Turgut. Others, however, chose to become Muslims for a variety of reasons. For example, there were "no priests consigning souls to hellfire and nobles needing their boots licked." Many thousands converted willingly; "their new identity as Muslims providing them a chance at freedom and at advancement in the ruthlessly meritocratic milieu of the Barbary Coast." Scholars, translators, merchants and clerics wandered about the world and contributed to its halcyon moments of cultural exchange. A continuum of cooperation, audible as a kind of ground tone upon which the more martial music of narrative history must be played, convivencia informed the entire medieval millennium, even those epochs that opened or closed with battle … by combing the epochal battles with the eras of convivencia, a clearer picture of the complex encounter of Christianity and Islam emerges. ↑ Stephen O'Shea. 2006. Sea of Faith: Islam and Christianity in the Medieval Mediterranean World. (New York, NY: Walker. ISBN 9780802714985), 296. Bradford, Ernle. 1968. The Sultan's Admiral: The life of Barbarossa. London, UK: Harcourt, Brace & World. Comprehensive and detailed online chronology of Ottoman history in English. theottomans.org. Retrieved December 23, 2008. Comprehensive and detailed online chronology of Ottoman history in Turkish (Kronoloji Osmanlı Tarihi hakkında ansiklopedik bilgi) Türkçe Bilgi'den. Retrieved December 23, 2008. Condottieri di ventura. Online database in Italian, based on Salvatore Bono's book Corsari nel Mediterraneo. Retrieved December 23, 2008. Currey, E. Hamilton. 1910. Sea-Wolves of the Mediterranean. London, UK: John Murray. Historic heritage of the Turkish Navy (in Turkish). Turkish Navy official website. Retrieved December 23, 2008. O'Shea, Stephen. 2006. Sea of Faith: Islam and Christianity in the Medieval Mediterranean World. New York, NY: Walker. ISBN 9780802714985. Wolf, John B. 1979. The Barbary Coast: Algeria under the Turks. New York, NY: Norton. ISBN 0393012050. This page was last modified on 23 December 2015, at 22:18.